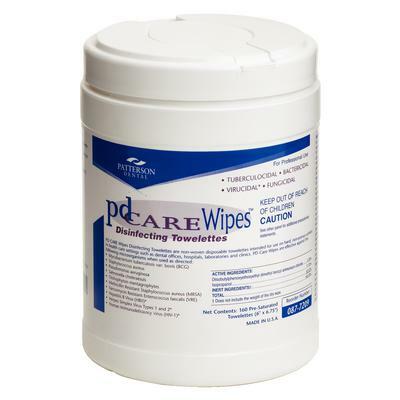 pd CARE Wipes are disposable disinfecting towelettes that are intended as a surface cleaner and disinfectant on hard, nonporous surfaces in health care settings such as dental offices, hospitals, laboratories and clinics. They are proven effective as a tuberculocide, bactericide, virucide and fungicide in a 2-3 minute window. 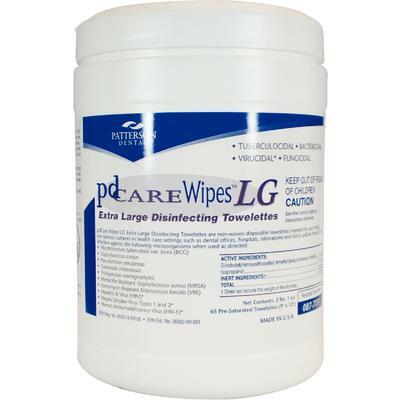 Large Wipes, 9" x 12"
Standard Wipes, 6" x 6.75"